Christmas, how the hell did you come around again so quickly? If you are the sort of friend/family member that exchanges gifts then don’t overlook the home made variety. Particularly when said gifts mean you don’t have to face the angry shopping crowds, you can sort Christmas at your local corner store. Besides, there's no better gift than a tasty little something made with love. Naw. 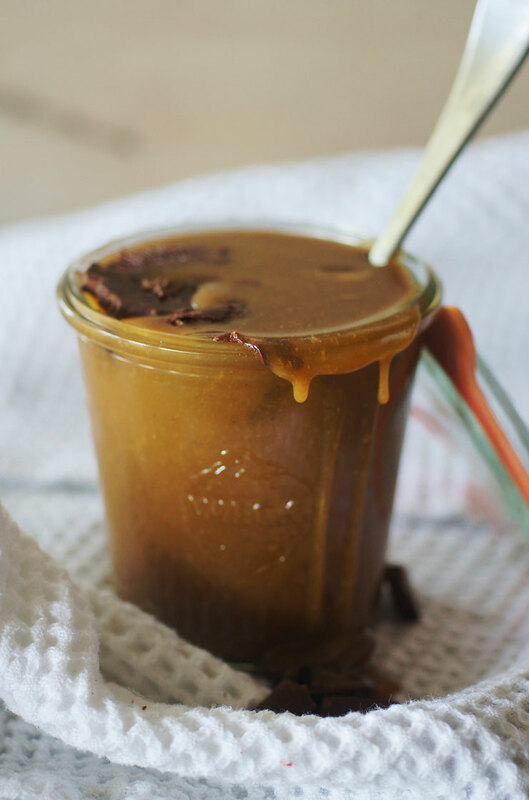 For the caramel, stir the brown sugar, cream, butter and golden syrup in a saucepan over low heat until the sugar dissolves. Bring to the boil and cook until thick and syrupy (5-10 minutes). Add a generous pinch of sea salt flakes and the peanut butter. Stir continuously until thoroughly incorporated. Pour into sterile jars, allow to cool slightly and top with choc chips. Some of the chips will drown and melt, others will stay on top creating this gloriously indulgent chunky sauce. So, so good. Alternatively you might like to gift with the chocolate chips separate with instructions to add once warming the sauce. Preheat the oven to 170C. Line two baking trays with baking paper and set aside. 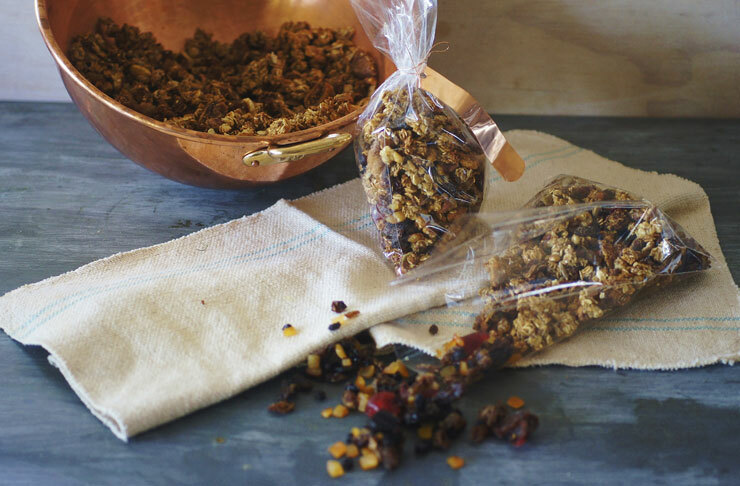 For the granola combine the oats, apple puree, spices, golden syrup, honey, sugar, nuts and seeds in a large bowl and using your hands, mix to ensure everything is evenly coated. Spread the mixture onto the prepared trays and toast for 20-25 minutes. Remove from the oven, stir and return to the oven to cook for a further 20-25 minutes until fragrant and an even golden colour. Allow to cool. Stir in the dried fruits. Preheat the oven to 180C. Line two baking trays with baking paper and set aside. Melt the oil, butter and 1 cup of the white chocolate in a saucepan over very low heat, stirring constantly to prevent catching. Allow to cool. Add the eggs, sugar and vanilla, stirring until well incorporated. Add the remaining ingredients and stir to combine. Place the saucepan in the freezer for 10 minutes or until the mixture becomes quite firm, you want it to be scoopable. Dollop dessertspoons of the batter onto the prepared trays, about 10 per tray. Bake for 10-12 minutes until the tops are cracked. Cool completely on the tray then transfer to a wire rack once cooled.